Hypergrid Business readers recommended fifty different hypergrid performers in our latest survey, with a total of 98 votes submitted. Here are the top ten vote-getters. 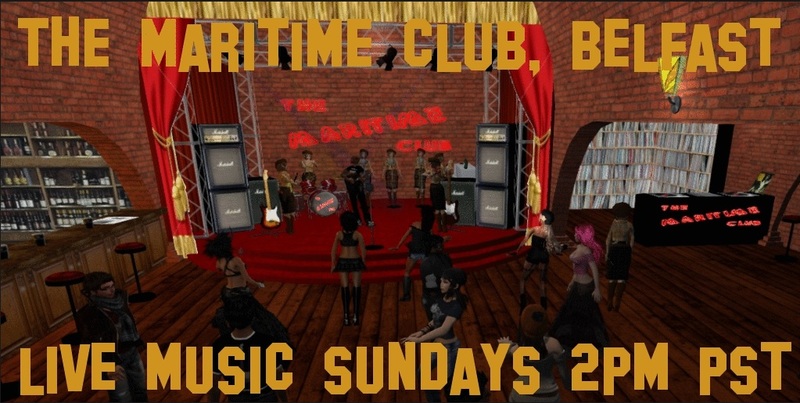 Also known as Ellen Olhsson, you can catch Truelie Telling at the Maritime Club on the Maritime Club Belfast region of OSgrid on Sundays. Her style is country punk mixed with folk noir, and she performs original music. Follow her on ReverbNation, on Google Plus, on Twitter and on Facebook. She was also a guest on InWorld Review last January. Also known as Paul Emery, you can also catch Casias Falta at the Maritime Club on the Maritime Club Belfast region of OSgrid on Sundays. His style is classic blues and original Americana. Follow him on ReverbNation, on Google Plus and on Facebook. DJ Sofee, also known as Sofee Supermarine, is also ZanGrid‘s event manager. Readers wrote that she is “one of the most amazing voice DJs I ever heard on the hypergrid” and that she “makes everyone feel good at the club and knows how to get everyone to have a good time.” “DJ Sofee is one of the most amazing and friendliest DJs on OpenSim, and makes everyone feel so welcome,” wrote another. She typically DJs on On Monday, Friday, Saturday and Sunday — check the ZanGrid Events listings for full details. Follow him on Google Plus and on Facebook. Nazirah Avro performs international and Latin American music, and has appeared on OSgrid’s Event Plaza and at the Maritime Club. Follow her on Google Plus and Facebook. Torben Asp composes and performs instrumental electronic music around the hypergrid. He will be performing at ROBstock in March, and is also scheduled to perform soon on Craft. In the past, he’s performed on Tangle Grid, DigiWorldz, 3rd Rock Grid, Metropolis, and at AvatarFest. Readers were impressed with how he uses particles as virtual art to complement the music. “He is a nice man and very sharing to the hyperverse,” said one. Visit his website, check out his events calendar, and follow him on ReverbNation, Facebook, Google Plus and YouTube. Nox Darkness, also known as DJ Nox, serves up a variety of music at several venues on The Great Canadian Grid. For example, this Saturday, at 2 p.m. Pacific, come to Cajun Country for an upbeat mix of Cajun, Zydeco, Blues and Swamp Pop. On Sunday, come to the Naked or Nearly party at Pixel Hollow at 4 p.m. Pacific. On Wednesday, March 2, at 4 p.m., Nox brings the 50’s to life with fun music from back in the day in the authentic Hot Rod’s 50’s Diner. Search the grid calendar for “Nox” for latest times and dates. Follow him on Google Plus. 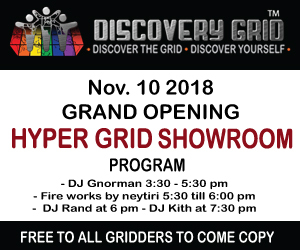 Hypergrid address: login.greatcanadiangrid.ca:8002:Namaste Island, login.greatcanadiangrid.ca:8002:Dreamland and login.greatcanadiangrid.ca:8002:Pixel Hollow. Also known as Russell Taylor Ashby and “The Music Whisperer,” Russell Eponym is described as “very talented and well-known throughout the metaverse.” He’s performed on Metropolis, 3rd Rock Grid, and in other OpenSim worlds. Check out his performance calendar, and follow him on Facebook. Read his ROBstock biography here. Join his Facebook Fan Club. You can also catch him at the ROBstock festival next month. Greybeard Thinker is a guitarist who performs blues and standards at the Belfast Club, and at his guitar factory on the Oar region on OSgrid. He’s also one of the featured performers at ROBstock. Hypergrid address: hg.osgrid.org:80:Maritime Club Belfast and hg.osgrid.org:80:Oar. Guitarist and composer Joaquin Gustav is based in Buenos Aires, Argentina. He is the winner of the “Avi Choice Award 2012” for favorite male musician. He was the lead guitarist and arranger for Quijotes, a well known Latin rock band in Argentina, but has also recorded seven albums specifically for Second Life. But he also performs throughout OpenSim, including on OSgrid, 3d Rock Grid, Littlefield Grid, and others. Coming up next month, he will be performing at the ROBstock festival. Follow him on ReverbNation, Twitter and Facebook. Do you have other favorites? Add them in the comments — and don’t forget to tell us where to find them!